Syria missile strike: How the World leaders reacted? 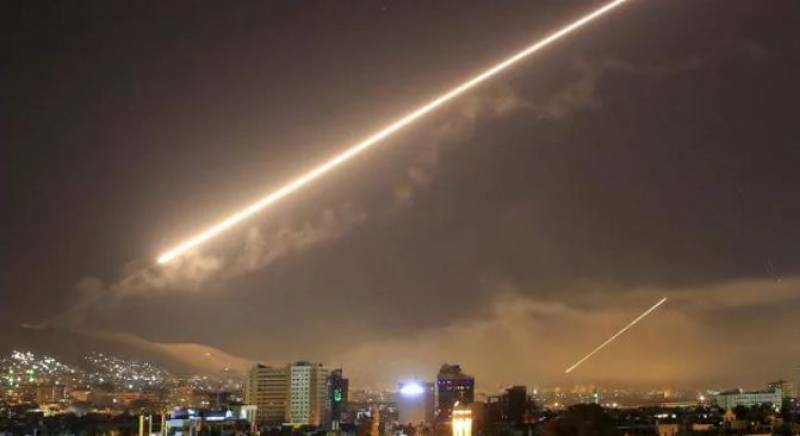 DAMASCUS, APR 15 (DNA) – Missile strikes of the United States, France and British on Syria have drawn a conflicting response from allies and foes of the Syrian government. European Council President Donald Tusk said the European Union stands by the United States, France and Britain over their air strikes after alleged chemical attacks by the Damascus regime. German Chancellor Angela Merkel, also supported the US, French and British missile strikes, saying that military intervention was necessary and appropriate. Turkish Foreign Ministry in a statement welcomed the strikes as an appropriate response to the suspected chemical attack. However, Russia severely condemned the attack and said it is calling for emergency session of the UN Security Council to discuss the missile strikes. In his reaction to the missile strikes, the UN Secretary-General Antonio Guterres urged all countries to act consistently with the UN Charter and international law. He called on all member states of the UN Security Council to show restraint in these dangerous circumstances and avoid any acts that can escalate the situation and worsen suffering of Syrian people. Criticizing the United States and its allies for launching the missile strikes despite absence of any proven evidence regarding the use of chemical weapons by Syrian government, Iran’s Foreign Ministry said America and its allies will assume responsibility for the regional and trans-regional consequences of this adventurism. Jordan said only a political solution would guarantee stability and territorial integrity of Syria while continued violence will lead to more violence, conflict, fighting and displacement whose victims would be Syrian people. Several European leaders, including Belgian, Spanish, Czech and Italian Prime Ministers have issued statements in support of the Western missile strikes on Syria . China has urged the relevant parties to return to the framework of international law and resolve the Syria issue through dialogue and negotiation. Chinese Foreign Ministry spokesperson said any unilateral military action, bypassing the Security Council, runs contrary to the purpose and principles of the UN Charter and violates the principles of international law and basic norms governing international relations.